A plan to modernise the London Market – the major international insurance market based in the United Kingdom’s capital – may include recommendations to use blockchain technology to improve data access and reduce costs associated with administrative paperwork. 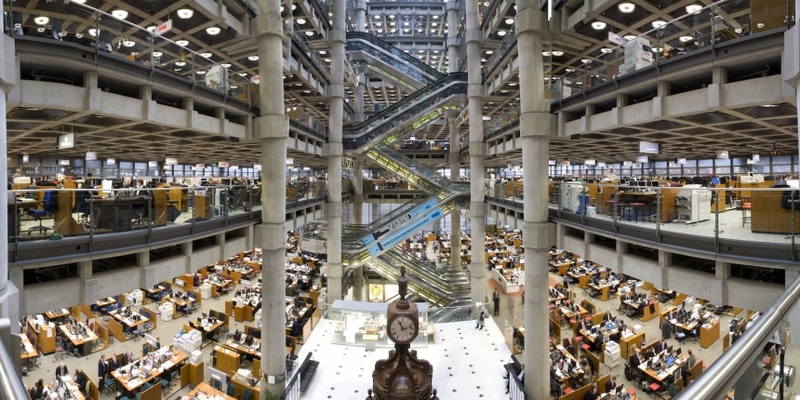 Lloyd’s, one of the London Market’s key participants, held a seminar in London last week to highlight blockchains, among other technologies, to insurance market participants as part of their modernisation plan, called the Target Operating Model, or TOM. Blockchains could bring increased risk-recording abilities, transparency, accuracy and speed to the insurance markets, Lloyd’s director of operations, Shirine Khoury-Haq told CoinDesk in a statement. The two blockchain use-cases floated at the seminar were for blockchain-powered digital ‘deal rooms’, where documents can be securely shared and logged, and a new token on a permissioned ledger for insurance markets. The ideas were presented by Michael Mainelli, an emeritus professor at Gresham College and executive chairman of Z/Yen, a think-tank and venture capital firm. Mainelli said online digital deal-rooms could significantly change the way business is currently done in the London Market. While such technology already exists, few market participants make use of it. Instead, they rely on physical proximity to one another, personal relationships and paper documents to get deals done, he said. “Everyone [in the market] works within three minutes of Lloyds, but they also know they’re dirt if they renege on a contract. Within hours everyone will freeze them out,” Mainelli added. But an online deal-room using a blockchain could make the London Market more attractive to international business, which could drive significant growth for Lloyd’s and the London Market, he pointed out. “If we were sitting in Hong Kong right now and decided to create a global insurance market, we could build a quick deal-room and we would automate it from the start,” added Mainelli. A blockchain-based deal-room would strip out the need to trust an intermediary while providing an accurate record of the documents shared by the deal’s participants. “It gives you a database that’s unalterable and nobody owns. It’s a ledger of who sent what to whom, when, forever. That’s an important part [of the insurance process],” Mainelli said. The other technologies presented at the Lloyd’s seminar included peer-to-peer lending and alternative cross-border payments. The seminar’s goal was to debate the “risks and rewards of technological disruption” with a view to implementing some of those ideas in the modernisation plan. The TOM is a five-year plan to “support the ease of doing business” in the London Market. It kicked off this year with a goal to develop a roadmap for the initiative. Next year, a governance structure will be set up to implement the recommendations over the next three years. The end-result of TOM would be a “one touch, unified and intelligent” approach for the London Markets with a strong emphasis on updating the technologies in use by market participants. The plan is driven by the London Market Group, an industry advocacy organisation that counts the market’s major participants among its members. Although the LMG’s modernisation plans are both ambitious and laudable, Mainelli cautions against putting too much stock in an outcome that will move the insurance markets away from its favoured technology: paper. “They always have these reform programmes. None of these have ever bitten. The quickest way to see that is to walk through Leadenhall Market and see all these guys carrying stacks of paper around,” he concluded.